Amanda Houston is a designer + artist living in West LA, Los Angeles. 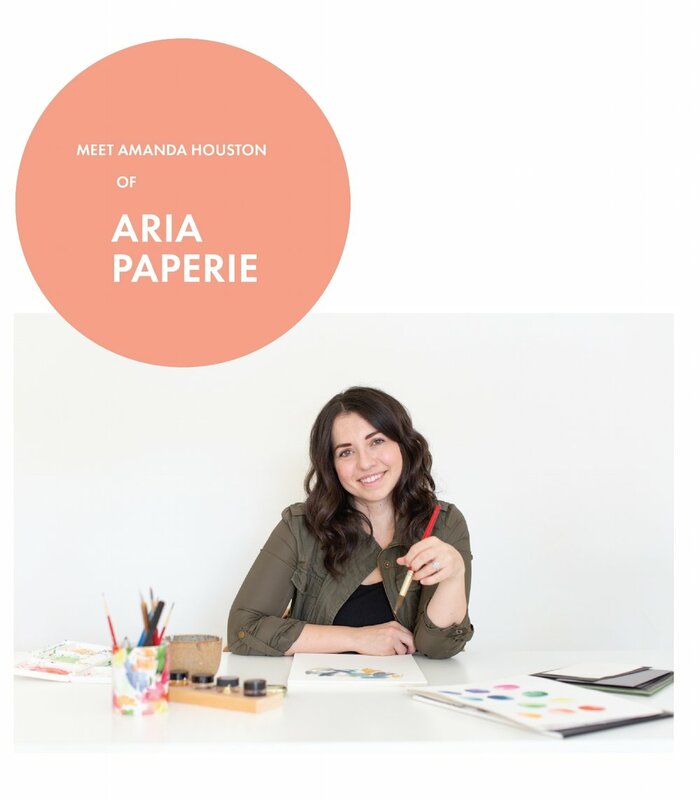 She’s a wife and mom of two kiddos and also single-handedly runs Aria Paperie, her boutique design studio. She specializes in calligraphy and watercolor illustrations. This season i’ve been looking for more ways to incorporate generosity into my business and serve the creative community of women in LA. 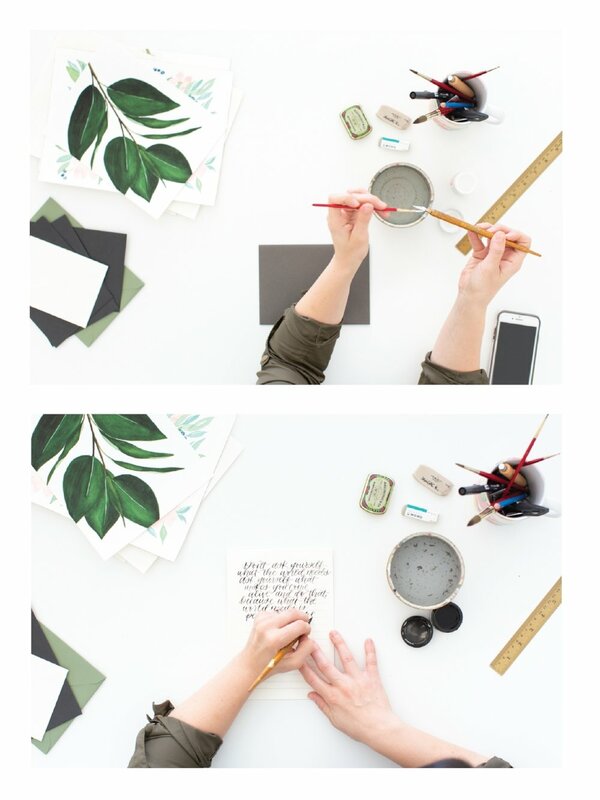 Last month I chose two lovely ladies working hard on a creative side hustle and gifted them with mini shoots. I chose Amanda for one of this years gifted photoshoots because, as a mom of a 1 year old myself, I understand how difficult it is to maintain a business, be a mom and simultaneously keep your creativity alive. Amidst a year of sleepless nights and caring so well for her two young kids, she seemingly effortlessly continues to create and also take time to keep herself healthy. She’s such an inspiration to me and i’m so happy to have been able to shoot this beautiful woman. Get one of Amanda's calligraphy starter kits!